Podcasts create another opportunity to reach the audience and inform them about your expertise. 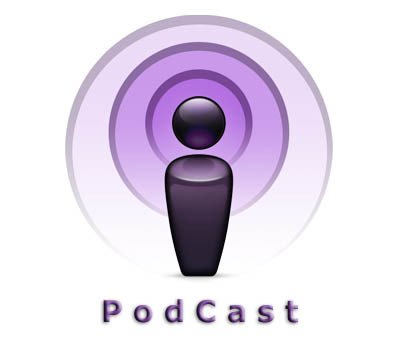 Six Things To Know About Adding A Podcast To Your Blog. As part of the series on filling out the list of blog content techniques we come to podcasting. Hosting a podcast is like owning your radio station or at least having your own show. In my opinion podcasting opens up another channel of communications for you to reach people in your audience. And after all, sharing knowledge and expertise is the best reason to blog. Podcasts are for people who would rather listen in the car, while they are flying across the country, riding a bike or walking the dog. The podcast is perfect for people who are in a place where they are unable to read, or who simply prefer not to. Match the audience and what they want. If they would rather listen than read, provide that opportunity. Podcasting is not easy from a technical point of view, and if you do not have any experience with it, but want to do it anyway, it can be learned. I learned how in the days when podcasts were first becoming popular. Anyone who knows me knows that I am not technical. Putting together microphones, downloading recording software, recording phone calls, and getting it all synced together etc. were not easy. I say this because you should know what you are getting into. So many blogs and articles will tell you that things like this are easy. More often than not, they are selling you something and do not want you to know that it is more involved and will take time to set up and then learn. I’ve done hundreds of podcasts and can tell you from experience that it is challenging. Forewarned is forearmed. Here are other details to consider when contemplating a podcast. If you are serious about starting a podcast do not rely on the built in microphone that came with your computer. The sound quality is not on a par with anything that will make you proud. Buy the best microphone you can afford. If it is priced under $100.00 then it is probably not the quality you need. As with everything you will get what you pay for, microphones are no different. Other podcasters will have high production values. You are competing with them for listeners. If the quality of your sound is not any good, you will have a difficult time attracting and retaining audience members. Phone or Skype? I have a separate phone line for making calls to interview people for my podcasts. It requires special phone connections, a USB audio interface and a digital PBX along with the microphone, headphones and recording software. In the early days of podcasting this was the only option. It worked, but was a pain. Even with a land line the sound quality was not always broadcast quality. Thank goodness for Skype. I do not remember how I learned that I could record phone conversations over Skype, but it was a real blessing. The sound is always excellent and the recording feature comes with it. Skype is not free, but it is priced very reasonably. After I started recording interviews with Skype, I spent almost no time editing or making changes to sound quality with my editing software. The main thing I have to monitor are the sound levels, is it too loud or too soft, and that is relatively easy to manage. Monologue or Interview? Some podcasters are very good at presenting information without anyone else around but most are not. So I recommend getting someone else to talk to while recording, especially if you are new to the practice. There are lots of reasons, but the main one is that you will be tempted to read a script. Bad idea. Reading sounds terrible over the radio or a podcast. You want your content to sound conversational, so to have that tone you may need to get someone to have that conversation with. Ask a friend or even your spouse or significant other to partner with you. If that is not doable for you, book guests to interview. Find experts in the field and invite them to participate in a friendly interview. Take lots of time to practice. Listen to radio talk shows and other podcasts to get a feel for how to do this. Broadcasting is a profession that requires training and practice. No one just sits down in front of a microphone for the first time and spins audio gold. You will need software to edit and convert your recordings. I use Wavepad. It is relatively simple to use, compared to other software that is really meant for studio professionals. Garage Band, the Apple users will at least have seen on the toolbar, is also a possibility but you cannot save files in MP3 format very easily. The same is true for a software called Audacity. To be honest, I find Wavepad easier to use than Garage Band. Garage Band is really for recording music and different instruments on separate tracks. At most, you will have 2 tracks to edit, you and the person you interview. I’ve tried several and recommend Wavepad. As mentioned above, save your files as MP3’s as that is the format most use to podcasting. Add the final MP3 to your website. Here is where it gets trickier. For this blog and others I manage, we use WordPress. If you do not use WordPress, then I am not sure what to tell you. But if you are using WordPress, go to your dashboard, and click “Categories” and then add one called “Podcast”. Alternatively, you can wait until you write your first post containing a podcast file and then add it by clicking “Add New Category” on the right of the post area. If you have the savvy and patience to get through the technical parts or the resources to hire someone to do it for you, the podcast is an excellent communications tool that will compliment your blog content and attract more people to you. To hear a podcast I do, go to iTunes and listen to The Collectors Show. I learned all this the hard way. Remember, forewarned is forearmed.